It’s finally here! 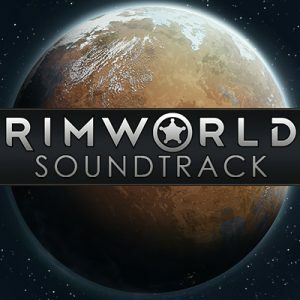 I just hit the button to release RimWorld 1.0. Thank you to everyone! I have many people to be grateful to (many of whom I mentioned in the last update). A new build is up on the unstable branch. If you are playing with mods but were on the unstable branch from an earlier testing phase, change back to default branch now. The code for this update should be 99% mod-compatible, but the mods won’t work until they’re recompiled because the binary API for the translation system changed. The game content is exactly the same as Beta 19. There are some bugfixes, but the most important thing is the new localization system. It’ll help translators more accurately translate the game into non-English languages, with issues like grammatical gender (e.g. le/la in French) respected and better automatic handling of grammar for a variety of languages. Below is a forum post from Piotr Walczak, who implemented the latest improvements, explaining what translators can do to take advantage of the new functionality. For anyone interested in helping translate, now would be a great time! The game content is stable, the grammar code is in, and we’re on the final push to get things set for the 1.0 release. Potential translators should please take a look the forum post below to learn how to contribute. Thanks in advance. So, RimWorld’s early access price has been $30 USD since we first started selling the game in 2013. Buying an early access game is risky compared to buying a finished game. Also, RimWorld’s value in content (and the time players tend to play it) have gone up a lot since those early days. There’s also the matter of simple financial inflation. Because of these factors, the final price will be higher than the early access price. The early access price will remain the same for the rest of the early access period – this change will only occur when 1.0 is released. And of course, anyone who bought during Early Access will get the final version for no additional cost. I wanted to let everyone know about this ahead of time so people have time to make an informed purchasing decision without surprises. As of now there’s no announced release date for 1.0 yet – still working on filling in all those final details! RimWorld Beta 19 – Polish the Cannons is released! To get the update: If you’re on Steam, the game will update automatically. If you’re DRM-free, you can re-download from the same link you got the game from originally. It always has the latest version. If you want to keep playing Beta 18 on Steam: Right click RimWorld in the Library list -> Properties -> Betas -> Choose beta18 from the drop-down menu. You can play savegames from Beta 18 (and probably before), though some details will change upon loading. I did want this build to be 1.0 for a while, but it became apparent the game would benefit from one more refinement round, so we’re doing Beta 19 first. I very much want the 1.0 version to be worthy of its version number, which means not rushing it. Please discuss this post in this forum thread. EDIT: This build did include 64-bit support. It works fine in the DRM-free build, but caused old builds to become unplayable when added to Steam, because of complications in Steam’s system for deciding which version to serve to which player. It seems Steam doesn’t easily support an old beta branch being 32-bit only with a new one being 32/64 – in this case it starts serving 64-bit content into the old branch, making it unusable since the files are mixed between versions. Since the 32-bit version works fine for almost every use case (aside from very rare and extreme massively-modded situations), I’m removing 64-bit until I can get in touch with Valve and figure out how to get it working smoothly. Below is a list of notable changes. If anything below seems to change game balance, you can bet that related variables were adjusted to maintain roughly the same challenge as before – I just don’t write down every single change because otherwise this list would be way too long. This list also does not including a ton of more behind-the-scenes optimization, refactoring, fixing, and adjustments we did. Armor system reworked into a 3-outcome system with armor penetration. The armor penetration of the weapon is subtracted from the armor value of the armor. This gives an effective armor rating, measured as a percent. We roll a RNG out of 100%. If the result is under half the effective AR, the hit is totally deflected. If the result is over half the effective AR, but under the effective AR, the hit is mitigated – damage is reduced by half and sharp hits are converted to bruise. If the result is over the effective AR, the hit passes the armor and applies normally. As before, armor is applied in sequence from the outside in. AR maxes out at 200%. Default armor penetration is 1.5% per point of damage, but some weapons vary from this. RimWorld has now sold over a million copies. Platinum status! This is a remarkably unexpected moment for me. The original Kickstarter only sought 1,000 sales, and that seemed like a lot. This is… crazy. Many thanks to all the players for buying the game, to Piotr Walczak, Ben Rog-Wilhelm and all others who worked on it, to modders for making a huge variety of mods that are intricate, scary, useful, and amusing. Also to everyone who ever made a video about RimWorld, or streamed it, or just told a friend about it. And to those making comics and art interpretations, to those moderating forums and chat channels, and everyone else bringing life into the community. I can’t thank you enough. Here’s hoping RimWorld and its community keep going strong for a long time to come. RimWorld Beta 18 – A World of Story is released! Here’s the video (where I accidentally call it Alpha 18 – old habits die hard). If you want to keep playing Alpha 17 on Steam: Right click RimWorld in the Library list -> Properties -> Betas -> Choose alpha17b from the drop-down menu. It’s finally in Beta! This is build 0.18.1722 of RimWorld. That last number is the number of days since I first started working on RimWorld in February 2012. 1722 days – almost five years. It’s come a very long way since the first public look in September 2013. It’s time to start bringing it to a close, which is why version 0.18 is Beta 18 instead of Alpha 18. The “Beta” designation means that we’re on the final stretch before the 1.0 release, and that there won’t be major content additions like whole new game systems. Of course we will almost certainly add more content, before the 1.0 release or after. We will also continue seeking feedback so we can fix those little bugs and design problems that only become apparent after tens or hundreds of hours of play. RimWorld has become an exceptionally complex game, and it takes a long time and a huge amount of play to understand how to improve it. So it’ll keep evolving for a while. In any case, enjoy Beta 18. There is a lot of new stuff. See the features list below for details, and watch the video. Compatibility: Saved games from non-modded Alpha 17 should still be loadable, though some things may change upon loading (e.g. characters may forget what they are doing; buildings may insta-deconstruct if they changed size and no longer fit, etc). Complex mods made for A17 won’t be usable and will need to be updated. Very simple mods may still load. EDIT (Nov 20): I forgot to mention another feature we added, which is queuing orders. You can now queue multiple orders for colonists. This was a ton of work to do because it forced us to separate the code that validates jobs from the code that initiates jobs, but should make many things much more convenient for players.